State University of New York Press, 9780791448946, 230pp. Although the scientific illegitimacy of supernatural design is typically asserted with enormous confidence and vigor, there has been surprisingly little actual work on such key foundational issues as even what design is and on specific criteria for assessing its legitimacy, or lack, as a scientific concept. However, intelligent supernatural design is again surfacing in discussions both of anthropic principles and of certain types of biological complexity. 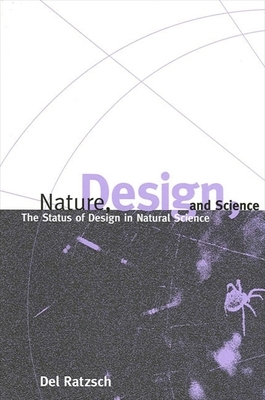 This book develops a definition of design, explicates the more specific concept of supernatural design, defends a general criterion for scientific legitimacy, and argues that in some cases the concept of intelligent supernatural design can meet the relevant requirements for scientific legitimacy. Del Ratzsch is Professor of Philosophy at Calvin College. He is the author of Philosophy of Science: The Natural Sciences in Christian Perspective; The Battle of Beginnings: Why Neither Side Is Winning the Creation-Evolution Debate; and Science & its Limits: The Natural Sciences in Christian Perspective.